However, at present the save_post action is being used in a way that other post edits are also causing re-validation to happen for them as well. This is particularly problematic when doing a mass import of posts. So what is needed is to restrict the save_post action to only follow-through when we are explicitly saving changes for a specific post in the classic editor. 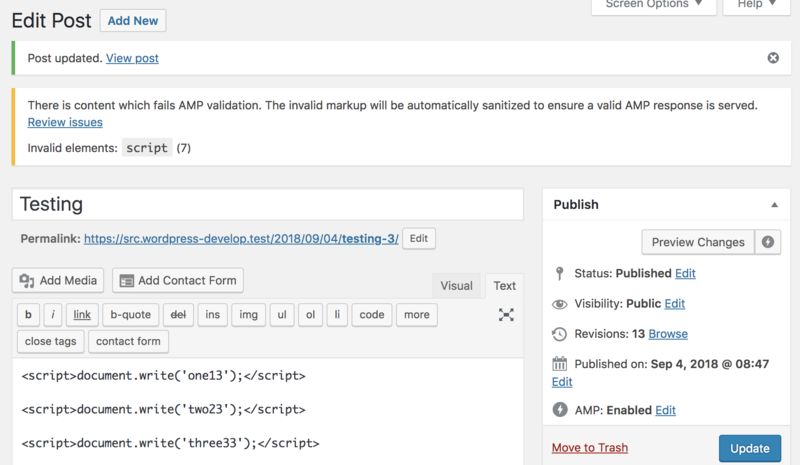 Note that this is all much cleaner for Gutenberg because we can rely on the REST API field to manage the re-validation. @westonruter it worked perfectly with WooCommerce CSV import and WordPress xml import.